Poor Emily Wilson has been through the ringer after a year-long battle with multiple kinds of cancer. Emily has been blogging on Tumblr, WordPress and on support group sites all over the internet about her struggles. She’s had to endure a colostomy, the loss of her uterus and she wrote extensively about the difficulties of being only 22 and knowing she’s going to die. 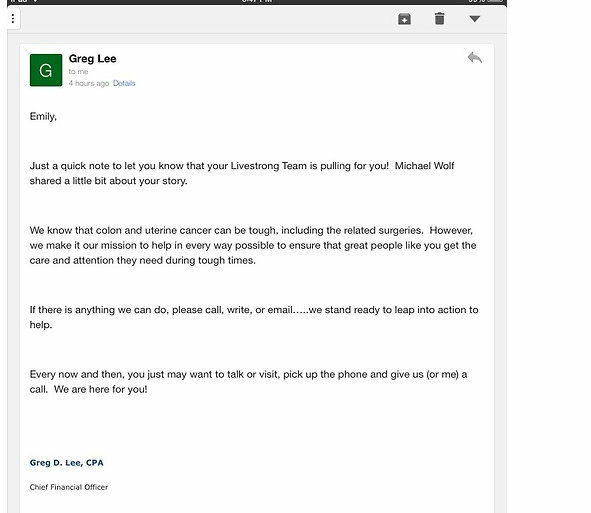 Her words touched many, including Greg Lee, the Chief Financial Officer of Livestrong. 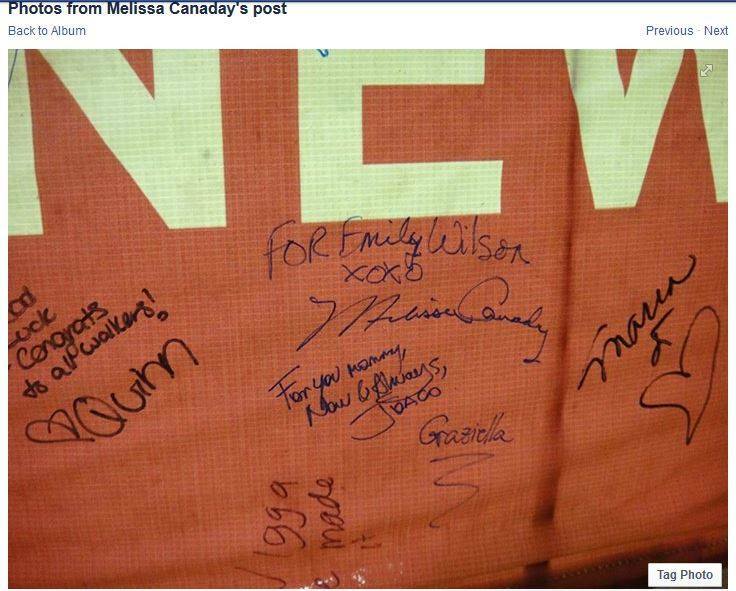 Melissa Canaday, mother of “Modern Family’s” Sarah Hyland participated in a tribute walk in LA in Emily Wilson’s honor. In the last few weeks, Emily’s been placed in hospice care and her sister has kept Emily’s many many followers and online friends updated on her health struggles. At least twenty of Emily’s online friends responded to this, offering Emily love and support and her family best wishes for peace in accepting her death. They wrote about what an inspiration Emily was to them and how when their own cancer battles were difficult, they thought about the hell on earth that Emily’s has been and felt comforted. Emily, though, is not dying. She is not even a real person. Her pictures were taken from this Flickr account belonging to a young woman from South America. One of her supporters asked for her phone number and another her address. From that information, we were able to find “Emily’s” real name and we discovered this wasn’t her first time faking illness and death online. 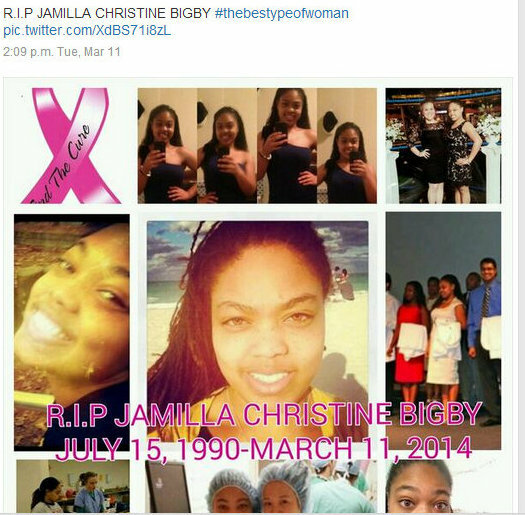 Jamilla Bigby was an active poster on several cancer blogs in 2013 writing about her battle with kidney cancer. She had a WordPress journal and a blog on MedHelp. 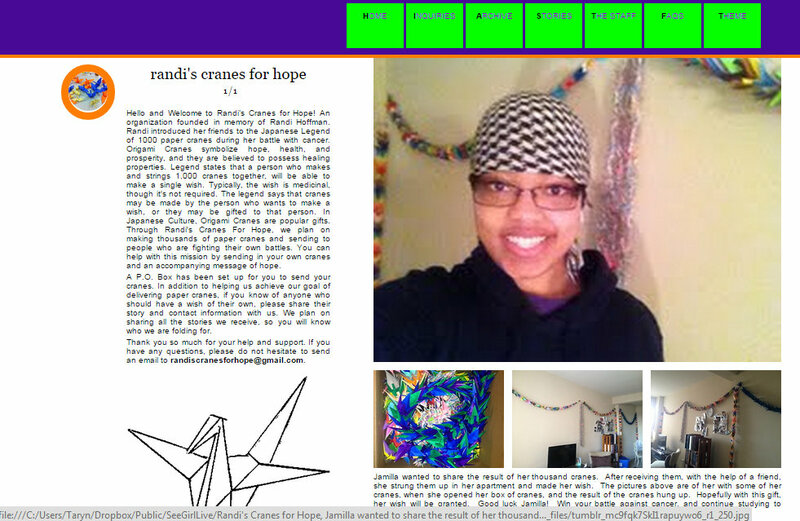 She interacted with cancer patients all over the web, even receiving paper cranes from Randi’s Cranes for Hope and displaying them around her room. When Jamilla’s cancer advanced and she became too sick to update her followers herself, a cousin stepped in and updated for her. Jamilla’s online friends mourned her death. But Jamilla Bigby isn’t dead at all. 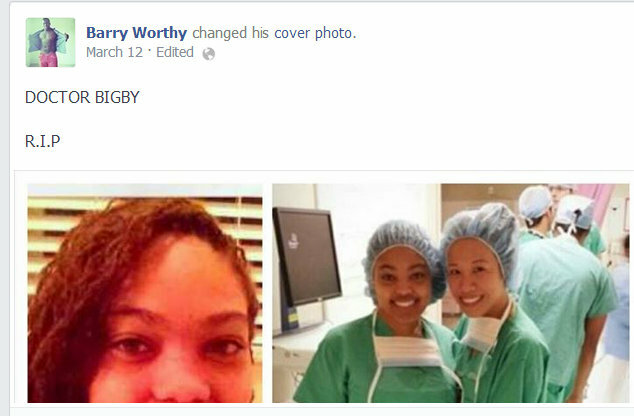 She’s very much alive and a medical student at Morehouse College in Georgia. Here she is celebrating her birthday in July of 2014, several months after her alleged death. Jamilla posted a document about ending a lease at her rental apartment earlier this year. On it is the same address where Emily Wilson accepted cards and care packages. I talked to her constantly on tumblr, she helped me going through my colectomy, she seemed so real. I offered to send her a care package for Christmas but she declined knowing im a single mom and don’t have much. I’m honestly in huge shock and so hurt. When I started talking to her, seems like a year ago, I looked up her Facebook and noticed it was never updated but saw her picture. I asked for a picture with her shaved head and she said no. She told me she was located in FL, I asked if it was a certain hospital that’s for a type of her cancer and she said no. I wish I could talk to the girl who really was behind it. I am floored! I am Jamilla’s aunt and the images of her are real but the story is not. She is a med student and that is the only truth here! She is alive, well and healthy! Thank God! It so sad the things ppl do in this world! Is your family getting her help? She absolutely should not be in medical school, when she herself is in dire need of treatment. The idea of someone like this having access to vulnerable patients is chilling. I feel sick, are you telling me that she is alive and well at this very moment…..I spent A LOT!!!! of time with this girl, I saw the pills, the blacking out, the blood, and the vomiting. I saw the catheter on her body. I witnessed the seizures she would have through the night and from my last understanding she died back in July of 2014…..I still have the text messages. I’m just finding out about this whole hoax thing because as of tonight…I had no reason to look for anything else. So please provide me with some insight as to what the hell is going on. I’m just curious. Were you at morehouse with her? I was in undergrad with here and an old roommate. I personally know Jamilla from Morehouse Med. And if you really are her aunt you should seriously talk to her. For the last three years she has been telling everyone, both administration and students, that she is a cancer patient. She talks often of her constant battles with cancer and treatment. I have no proof and cannot confirm for sure, however, I truly believe that she is behind these blog posts. I am outraged and heartsick at this hoax. At my age, I should have detected the false notes, yet I was swept up in the emotion of this very realistic year-long-plus heart-rending drama that absolutely sounded and looked real . . . until the social media started disappearing one by one, and a few other things that, in retrospect, didn’t necessarily add up. 1. Why did you “out” Emily just at the time we expected her to die? 2. How do you find out about such hoaxes? 3. 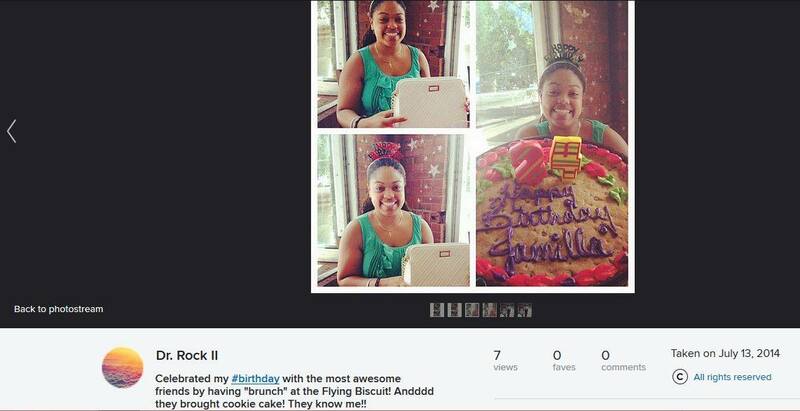 How did you gain access to “Emily’s” various social media accounts to copy them? 4. How far back do your copies of her posts go? Repeat — question 1. 5. This “outing” also occurred on the same day I sent a private message to “Kayci” offering to write a tribute to Emily–we had an exchange about it. 6. How are you able to post at ‘http://seegirllive.tumblr.com/’? Forgive me if I sound suspicious–I am. PBC- I was preparing to post about Emily in the new year, but due to the fact that I could see she was about to be killed off, the entry needed to be pushed up. If you’ll look through this site, you’ll see it’s been around for a while. When a hoax is suspected, I download every blog I can. They’re usually deleted when the person realizes they’re being suspected of being fake. Some of what you’re asking I can’t answer as not to tip off other fakers. I messaged “Emily” at seegirllive on Tumblr this morning asking her to post the truth and ask her followers for forgiveness. I sent her a link to this blog and explained that I’d post about her if she didn’t. When she deleted her tumblr, I made a new account and took over the url so her followers could easily be notified. If you google the name of this blog, you can see it’s been around for a while and has done some good work over the years. I do understand your suspicions, though. If what you say is true, and it sounds reasonable, then you’re doing a good thing. But the timing is almost unbelievable. The entire situation is almost unbelievable! The people who have shed tears and opened their hearts to this sick, or malicious, or sick and malicious person have been truly hurt. I have a very real blog and am a very real cancer survivor who has even thought I’d like to change PLACES with this young woman because I’ve had my chance at life. Exposing this cruelty is a good thing. I hope it doesn’t cast a pall on those of us trying to offer genuine information and support to fellow cancer sufferers and survivors. My blog: http://thepatientpath.net/ [wordpress]. I will be writing about this very soon as I have mentioned “Emily” there several times. Ohmygod. As someone who outs fakers and frauds on the internet, you never out them until you have ALL of the information you can, and you do it BEFORE they “close shop” and if “Emily” was about to be topped off, there really is no better timing. Once “Emily” was killed, it would have resulted in this fraud just opening up shop again somewhere else, with a new persona, and a new lie, hurting even more people, scamming even more money, items and emotions, etc. She’s already known to have done it once before. If you haven’t already, I would suggest reading what you can on Munchausens Syndrome, and Munchausens by internet, as it might shed a little light on the pathology of this person. It’s not the people outing this person that you have to be leery of. I am sorry for your loss, because it IS a loss, and for many will feel not only like a complete betrayal, but an actual death. These people are everywhere, they prey on kindness, and they prey on good will, but I hope that everyone that realizes they were duped by this fraud also realize how wonderful they are to be willing to extend love and compassion to a total stranger. When this all went down on Saturday, I really didn’t know whom to believe until the shock wore off. Losing “Emily” did feel like losing a friend; it truly did. And reading through the other entries on your blog is both infuriating and heartbreaking–betrayal is one of the worst emotional assaults we can endure because it distorts our sense of reality for a while. I understand the rationale behind your exposure timing, but what turmoil it puts people through for months and months while you’re amassing evidence! Yet the frauds, sick as they are, need to be stopped however this can be accomplished. I am also wondering whether the unnamed young South American woman is aware that her photos were used for fraudulent purposes and, if so, whether she has legal recourse for identity theft, impersonation, or whatever the actual crime is called. I’m glad your watchdog organization is working to rid the Internet of this plague, although I suspect such things are like viruses and will keep popping up and victimizing innocent people who are out here in cyberspace for good reasons, including kindness and support. My main WordPress blog is intended to be a source of information, empowerment, sharing, and inspiration for anyone dealing with serious illness, including the cancer that prompted me to start blogging–endometrial adenocarcinoma (uterine cancer). It is a sad thing to have the wellspring of good blogs poisoned by an impostor. She needs to be stopped, and she needs to be helped. I wonder whether the fear of being found out will prevent her from doing it again, although if she is really ill, maybe not. My last hope is that all the good thoughts, prayers, wishes, and other kindnesses that have been sent through the ether to an imaginary person will land where they will be of benefit to a real and deserving one. It was heartwarming to see the outpouring of love on the Internet, even if it was unwittingly misdirected. Thanks again for the work you do. I’ll be watching for further developments. And I will proceed with kindness, if with greater caution. P.S. in my note of 12/28, I said that the young woman with the Flickr account was unnamed–but I see that she calls herself Keyci Gugel, explaining where “Emily’s” sister “Kayci” got her name. I still wonder whether she is aware and what she might do about the fraudulent use of her photos and first name (close enough). Thanks very much for the tip about Munchausen by Internet–I see that even NIH is researching it. I will be posting about this on http://thepatientpath.net/. This and Lynch Syndrome are two topics I learned about via Jamilla, so all is not lost. My eyes are opened a little wider now. Has this woman’s med school been notified of her very unethical behavior? This is very disturbing and she should not be permitted to practice medicine nor continue on in medical school. It scares me that this woman wirks in the medical field. Who knows what else she may do for attention. She could like injure patients for attention if she is willing to go this far online. This is frightening! 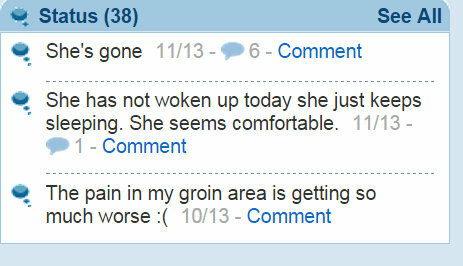 She also posted on Blog for a Cure as Emily, uterine/colon cancer, in addition to the JMills character. Same pic as the South American Flickr. That blog was also deleted several weeks ago. A real shame. My 22 year daughter is a cancer fighter so I felt a connection with both characters due to their ages. Makes me a little sick to my stomach. I commiserate with you. Young women do suffer and die from cancer, and this impersonator has done an egregious disservice. Maybe she is sick and needs help, but she (if she is a she) needs to be stopped. I will be tracking and writing about this hoax and will do my best to expose the heartless crimes that have been committed by a deranged and misguided individual. How did you find out this person is in the medical field? She needs to be brought to someone’s attention at that. Heather, when her real identity was discovered it became pretty obvious from her Facebook. I am very much hoping Jamilla gets the help she needs. Please tell me you have contacted her medical school? As a fellow medical student and (actual) former cancer patient, this sickens me. Working on it, for sure. I do think that the school needs to be informed. What worries me is that Munchausen by internet could morph into Munchausen by proxy, once she has actual (and vulnerable) patients in her care. Oh okay now I just put the story together. I’m disgusted and heart broken over all of this and to hear she is training to be a doctor is very, very disturbing. I do believe she needs help, but I do also believe she cannot be working, even training, as a doctor. As a chronically ill person, I’m already very uneasy about many doctors. To know someone like this is training to take care of truly I’ll people is unnerving. I think it best to have this reported to the school, so I am glad that is in the plan. She targeted so many of us at such vulnerable times. So many of us on tumblr are truly sick, are truly losing their livelyhoods, their friends, their mobility. We are a tight knit chronic illness community, and now she has taken my ability to want to share my story further. Or even keep my own blog, for that matter. I don’t think I’ll be able to forgive this person. Not for a very, very long time. This completely angers me; I not only sent “Emily” a care package, but followed her story for quite some time and was totally saddened by her story and thought of her everyday. Jamilla’s mother is (EDITED) It’s the policy of our blog to not encourage people to contact the hoaxers or their families- we take care of that to make sure they have support. I was victim of both Jmills and Emily. I am sickened by this. I am a real person who cried over these women. Especially jmills. Why is this info about jmills just now being released?? She “died” November 2013. When I heard about Emily today, I drafted an email to investigate jmills because I was suspicious, but I decided not to send it. What made me suspicious is that emily added me the day after jmills died…same age, both from fl. It crossed my mind they could be cousins but I had noooo idea. Now my suspicion is confirmed. I’m still confused about who specifically is behind these fraudulent stories and why they’re not prosecuted. I will be closing my one and only cancer blog, but just so you know, I am real person battling leukemia. Very disturbing. The info about JMills was found only after it was determined Emily was fake. So sorry you were duped. I know how painful it can be. So just to see if I understand: the real Jamilla Bigby, who is a real medical student at Morehouse College of Medicine, is the one with munchausen who created Emily and also pretended to herself have cancer as JMills? Sadly, based on the timing of Jmill’s death and the timing of Emily befriending me on ihadcancer.com, things are becoming clear. I thought your blog was RIP. I am glad to see you back. Wasn’t the Eli Warrior faker also a medical student? Is she still a medical student? No, just a very busy year where life got in the way of hoaxes, unfortunately. The original faker was a med student. I don’t know what she’s doing now. I can’t believe I prayed for and shed many tears over someone that never existed. This woman is depraved and she will have to answer for what she has done, in this life or the next. Just know you’re not alone. Many of us who were close to “Emily” are feeling very uneasy and anxious. This is very disturbing what she did, and she cannot think it will simply go away. If we deserve even the bare minimum for how we helped her, her “sister”, how we grieved for her, how some people brought her into their churches, we deserve an apology and an explanation for this behavior and manipulation. Thank you, Sq. I really hope her medical school is made aware of this and takes action. A person this unethical should not be entrusted to give medical care to anyone. Disgusting. In my humble opinion, this was not a very difficult blog to become suspicious of. She may have been well hidden, but I smelled something fishy very early on. I wish I could name specific details without giving away too much, but suffice it to say that my direct experiences with cancer and medical treatment in general provided all the information I needed to get a bad feeling about “Emily.” These weren’t arbitrary, personal, or emotional things… but factual medical things that were, at the very least, difficult to believe. It’s not easy for a faker to be perfectly realistic, and this is a prime example of that because the culprit is a mid-20s medical student. No, she’s not a professional in the medical field (and hopefully never will be), but at this point in her education she is not a stranger to medical practices or even possible forms of cancer treatment. She knew her stuff, and she was still way off the mark, because knowing about it is not the same as knowing what it’s like. Honestly, I’d be willing to bet that a practicing Oncologist would have a difficult time writing a fake cancer blog, because they’ve never been subjected to the experience of treatments 24/7 like we have. Filling out a prescription is not the same experience as ingesting it. I don’t want for everyone to become jaded and skeptical about the entire online cancer community, because that means the leeches have won. But sadly, you do have to keep a grain of skepticism on board at all times. You have to find a balance between believing and doubting. Don’t be rude or confrontational, but be aware and observant. If you’ve been through cancer treatments like I have, think back to those times and the finer details of what we went through as you read the blog of a non-transparent identity. I’m willing to bet that if you re-read Jamilla’s fiction through the eyes of skeptical analysis rather than preemptive sympathy, your built-in experience would have automatically sent up a red flag… that happened with me multiple times. Adjust your perspective and use your experience to make yourself less susceptible to these deceptions. You can do it without being a jerk, and you can still be active in the community. It’s more effort, but isn’t it worth while? Thank you so much for exposing her before she killed herself off. I’ve shed a lot of tears for that girl…and in a strange, twisted way…I’m so glad that Emily Wilson is NOT dying because there is no Emily Wilson. Although I was fooled, this is a much better outcome than the other way around. But…with that said, (and it seems like she’s studying oncology because she seems to know A LOT about cancer–genetics, chemo, radiation, clinical trials) I could NEVER ever ever ever trust her as an Oncologist or any other medical practitioner. She should quit medical school and become an author or something. Well, goodbye SeeGirlLive… Tonight I’m getting a good nights sleep. I befriended this “Emily” on facebook shortly after my sweet, innocent boy passed away from Colon Cancer/Lynch Syndrome on March 1, 2013. She had sent me a friends request and I was one of her first few facebook friends (I believe that she had about 5 friends including myself). She had indicated that she had Lynch Syndrome like my Dakotah (with the same gene mutation if I recall correctly) and was diagnosed with uterine, ovarian, and colon Cancer. She claimed to be 22 years old. I felt so bad for her and offered her support and resources because I had witnessed the awful Lynch Syndrome Cancer first hand. I shared my son’s story with her and introduced her to others with the syndrome. Lynch Syndrome isn’t a well know genetic condition so, I wonder where she learned about it and how she found me. She even befriended my nephew Timothy on facebook who was diagnosed with Leukemia in November 2012 within weeks after my son was diagnosed with his 2nd onset of Cancer. I had changed facebook accounts and hadn’t had contact with her in several months. Last week I began wondering about her condition so, I got on my old account to discover that she was no longer my friend and I couldn’t find her profile at all. Now I know why. To prey on a mother who had lost her young son to such a horrible disease and death is beyond awful. I hope that this disgusting, heartless, lying, sad excuse of a human being is locked up and they throw away the key. I’m so sorry for your loss and that you were manipulated like this. I am so sorry that you had to experience that. That is a truly terrible thing to do. I was diagnosed with colon cancer last jan and joined the Inspire community for information and support. I am sickened by the fact that so many true cancer fighters wasted time and energy supporting this Emily! I have been blessed where my cancer was found early but I actually felt that survivors guilt that this 22 yo (my sons age) could not be blessed like me. My heart goes out to the Inspire folks that are amazing and true fighters! I think her last post had over 200 replies before it was deleted. Thanks for outing her so we can support the people that need it. Emily posted a few times on our cancer board (the years cancer stole). It was set up by myself and another gynecological cancer survivor specifically for those with gyno cancers under the age of 40 (a growing and under-represented group of patients/survivors). I interacted with her on FB and on Tumblr as well. I knew Jamilla as bcomingfree on tumblr. Just last week I was thinking about her, wondering if she had died without my knowing and her family perhaps had deleted her blog. I am… devastated to know both women were a hoax. The fact that someone like that was allowed- INVITED even (by me!!) to join our very small community on our board makes me ill. I suppose this is the only good thing about having a less-active community at the moment. Her impact there will be minimal. I had not interacted much with Emily here at the end, I’ve been busy dealing with my own health issues and family things… but I’ve made a point to check her blog frequently, to get updates and send prayers. So incredibly disappointed to have been taken in. Why on earth anyone would want to *fake* the kind of things real cancer patients and survivors have been through is beyond me. No amount of money would make what I went through worth it. I hope she gets help for whatever underlying issue is leading her to run these scams. To those looking for a supportive space, TYCS is specifically for those with gynecological cancers under the age of 40- but I’d welcome anyone who wants to be part of a community of support. We don’t have a lot going on now, but it is a good place to sort of… dump and run when you need to vent. Love to all who have been taken in and hurt by these recent scams. I’m so sorry for all of us! I would like to stress what an earlier poster said…painful though it may be, this is a good learning experience. As a survivor of stage 4 colon cancer, I’ve been around the online cancer world for several years. When I first started visiting a couple of forums, I had no idea that these hoaxers even existed. I loved making friends at BFAC, sending out care packages, and just discovering this whole new world of support in a hard time of my life. But it was also on BFAC that I ran into my first fake (and thanks to the Warrior Eli folks for exposing her too), and it was both shocking and enlightening. I now listen closely to that inner voice that tells me when things don’t make sense (like when jmills/Jamilla claimed she had cancer in every part of her body, and was on hospice, all while dating and going to med school). And if I do decide to give, whether of my time or my money, I do a fair bit of vetting beforehand. Could still get conned, I guess, but at least I make an effort not to feed these emotional vampires. I would recommend to all who spend time on these forums to read up on Munchausen by Internet. It’s a very real condition, and the hoaxers seem to follow a pattern most of the time that helps us to pick them out. My thanks again to this site for all of its hard work over the years. It is a good learning experience, but let’s not forget that everything looks clear in hindsight. This is Hindsight bias. In the moment these aren’t unfathomable stories. Many people with cancer continue with their lives during treatment. Life goes on for us. There are red flags we can try to spot in these stories but it’s not easy. Some of us on BFAC were aware of the hoax way back before the first persona, “jmills”, died. There was discussion about it between individual members, but not much we could do it about it, as we had no definitive proof. I was contacted by a reporter who was working on the case while trying to write an article on Munchausen by internet many months ago, but nothing ever came of that. She wasn’t able to connect the dots as Taryn, with her extensive experience, was able to do. I wish the site owner at BFAC would have at least checked IP addresses between the two accounts to see if they matched up. Maybe she will if this ever comes up in the future. How soon will the ethics department of Morehouse College learn about this indecent fraud? Someone should send this story to dateline.. Just saying. It’s very real and incredibly inhumane. I agree. I have been keeping my mouth shut thus far with sharing her name. People on tumblr have been asking me to release her name, and I haven’t. Though it is tempting to alert her father (on facebook as someone shared before), I am almost scared to do anything at all. Don’t be scared. The worst that can happen is people will question you. And that’s very rare. for those upset by being taken in, please take comfort in knowing that you have a heart when it comes to another person hurting. I wish people in my circle of friends were a little more compassionate. I have chronic pain from renal cancer mets to other places and yet my doctor wants to cure my “drug addiction” and take away my opiate pain killers, allowing me to only use Tylenol for pain! It really upsets me and I write about it frequently online. I hope these experiences with fakes just make you more aware and not more jaded of the cancer victims out there. Hugs to Taryn! I missed reading your posts! EDIT: I deleted the link you posted- but we will look into it! News of this must be spreading quickly as I have seen comments in places I did not know it would reach. Including a youtube video a friend linked me to where someone asked if this was jmills. I am glad the word is getting out. If she accepted money isn’t that illegal? Is there a update on this story? Heather, her school ethics council has been informed. As for illegal, we haven’t had much luck in the past getting any police response to someone accepting gifts under false pretenses, but if anyone who sent gifts wants to file a police report, you have that right. I am a registered abuse/crisis counselor and did a course on things like this, and it is very hard to get police to act on sending gifts to a false name, etc. However, if money was taken, it may be a different story depending on your jurisdiction. I know in parts of NY, you are able to file for a no contact order that can result in punishment for the person you’ve banned from contact. Though, honestly, the process is difficult and long. It upsets me on that front that not much can be done there. And that, legally, she really faces little to no consequences. However, I do very much hope she is removed and banned from learning and practicing medicine. The idea of someone like this, who can easily manipulate so many, working with people who are vulnerable and scared is very frightening. I was reading through her wordpress that you saved, and what instantly jumped to the front of my head are the photos she posted. If she grabbed them off line, that’s one thing. If she took these pictures while on rounds in a teaching hospital of other patients (even chemotherapy bags that are marked) that is breaking HIPAA laws. And that is very serious. We couldn’t find the pictures anywhere else online, which concerned me too. If she was taking pictures of medical procedures (IVs, etc) that crosses a definite line. It would easily be at her disposal, and I am very glad you thought the same. It is one thing for a patient to document their treatments, as they are consenting for themselves to do so, but it is an entirely different bag if these procedures were a patient. The chemotherapy bag were blurry, so in that “respect”, she did block them out. But the reality is, is that as a training doctor, she broke so many rules of ethics and law and she isn’t even certified yet. I am not sure what can be done on that front. If the school has been alerted to what she has done, I hope they take the time to look carefully into the information sent from you including the wordpress and the tumblr so they can really understand what action needs to be taken. Honestly, I am not even mad anymore. If anything, I am terrified for those who are ill and may end up in her care. This didn’t just stop at these blogs, this can very easily be carried on into her “real life”. Has anyone spoken to her since? I wrote to her fb but I doubt she’ll see it since its all blacked up. I just want to make sure everything between us we said is confidential. I considered her a friend and wouldn’t want a friend to go telling my business. I haven’t. And this is part of why I have been nervous since she was outed, as well. Wow. I’ve been so worried about “Emily ” so when I hadn’t read a post I figured she passed away. Thank you for revealing the truth. I do remember when I first started to follow “Emily ” someone did call her a fake. At the time I was shocked that someone would accuse a cancer patient as a fake. Apparently It’s not the first or the last. So sad. I know Jamilla very well! I’m her Aunt! Jamilla does not now nor has she ever had any form of cancer. She is a beautiful and healthy medical student currently attending Morehouse SOM! SHE IS NOT RESPONSIBLE FOR THIS HORRIBLE HOAX, & has been in touch with the FBI REGARDING THIS SCAM! TO those responsible your evil and wicked ways will be dealt with in the courts of the Lord! Swiftly & Accurately!!! Karma is a b*tch! Jamilla is God’s property… So be careful! Love you Mills keep striving to the top! Well, apparently lying runs in the family. And why do people like this always claim that they have contacted the FBI? If anyone gets in trouble here, it will be Jamilla. Interesting last name…..the problem with posting anything on the internet is this: once it’s out there ya can’t take it back. SeeGirlLive (aka Emily Wilson, aka Jamilla Bigby) also posted on Inspire with a very detailed saga of struggling with late stage ovarian cancer. Jamilla duped a lot of real cancer warriors- diminishing the struggles that real cancer victims endure. I’m glad you mentioned the FBI; however, you did forget to mention that Morehouse has an arbitrary affiliation that mediates ethical complaints in order to protect the school- you might give them a call since a referenced, substantiated complaint was opened against Jamilla Bigby. And, you are certainly right about karma. I’m a student at Morehouse and we were told, by administrators, that Jamilla was forced to withdraw from the graduate program. She seemed like such an honest person and I would have never guessed that she was scamming people. I hope that she gets well soon because she seems like a good person deep down inside. Students at Morehouse SOM have been told by HER that she does have cancer at least for 3 years. wow… Emily had been in touch through my blog while I was having chemotherapy aged 30 last year. I felt so sad and moved by her story, I wanted to send her a present and she gave me an address and I did send her some films and never heard back. This is so twisted. I feel betrayed but happy to know there isn’t a poor 22 year old girl out there with 2 kinds of cancer. I guess in a black and white world, where people are either “all good” or “all bad”, I could maybe say you’ve done the right thing here. Unfortunately we don’t live in a black and white world. Sometimes good people do the wrong things for the right reasons, and sometimes good people do stupid things without thinking. In this case, since it seems no one here has actually spoken to Jamilla Bigby or knows anything at all about her, it looks to me like you’ve all rushed to judgement on a situation you know far too little about. As a result, you’ve likely ended the medical career of someone who just might have ended up being a really good doctor one day. What if Jamilla would have finished medical school with honors and went on to one day discover the cure for cancer? Or what if she would have gone on to become the doctor who saved your life one day? Or the doctor who saved your child’s life, or your spouse’s or your parent’s? We’ll never know what kind of a doctor she might have become, because you got her kicked out of medical school over a situation you know nothing about and weren’t even involved with in the first place. Perhaps she pretended to be a cancer patient to gain some understanding and perspective on what it’s like to be a cancer patient. Wrong way to go about it? Maybe. But not malicious, and certainly not worthy of a punishment that ends her medical career before it began. And it might have made her a better doctor in the end. Or perhaps it was a way for her to explore that side of medicine and to help her decide if oncology was an area she wanted to go into. Again, wrong way to go about it? Maybe. That’s not for me to judge (or you, or anyone else, for that matter). And I can think of a hundred other reasons why she might have done what she did, none of them malicious, and none of them worthy of the kind of punishment you’ve doled out to her here. You can’t judge the value of a person based on a single point in time or a single action. You’ve not walked a mile in her shoes, or even a single step, yet you’ve appointed yourself Judge, Jury, and Executioner anyway. That’s very wrong, and completely unfair. I don’t think you’re a bad person for what you’ve done, I think you meant well. But I also think you need to consider what you’ve done here, and I’m hoping you’ll rethink your blog before you hurt anyone else like this. What you’re doing is wrong. No one is “all good” or “all bad”. Sometimes good people do stupid things, or do things we don’t understand because we don’t know the whole story. Forgive them and get on with your life. You’ve gone too far here, and you’ve hurt someone very badly – far more than she ever hurt anyone by pretending to be a cancer patient. Just a couple of cents from someone who’s been hurt before by people making assumptions and rushing to judgement without knowing the whole story. Take it for what it’s worth. Well she hurt me. Badly. I’m a young colon cancer survivor that she robbed my experience from. There are plenty of people out there researching cancer and making great strides without putting people in therapy. There are many doctors and oncologists that are capable of feeling empathy for their patients without committing fraud. I do believe that Jamilla is ill. If what was commented early about her being removed from med school is true, I’m absoluted elated. Sorry, chemo brain. From, you know, actually having had chemo. To Jeannie S., taking into account that there’s a precedent like Beverly Allit, a trained nurse who made children horribly sick just to appear to save them, and in doing so murdered four, I think it would have been a terrible idea letting Jamilla become a doctor. Beverly, according to what I read, used to go around with a fake cast to get sympathy before becoming a nurse, and when she exhausted the chances of getting attention through her purported ailments, she opted to make others sick, appear to “save” them and thus gain sympathy. I’m sorry, but I can’t see how passing herself as a dying cáncer patient online, would help a medical student to gain a better a understanding on this disease. Would you want a mentally ill person as your healthcare provider? A healthcare provider should be a trusted resource. Who would be able to trust Jamilla Bigby? She faked online personas, she lied about deadly illnesses and she caused mental anguish and suffering to her online friends who were empathetic to her illnesses. But, most heinous of all: she diminished the real struggle of real cancer patients. She did this by exploiting good faith. Most people assume that others are inherently good. Anyone who has endured chemotherapies, surgeries, dis figurations and the indecencies of treatment have had not only physical repercussions, but emotional tolls as well. For Jamilla to imply that she endured these horrors and for her to have sought sympathy for those atrocities is unforgivable. She deserved to get a dose of real life- an ethical lesson, if you will. 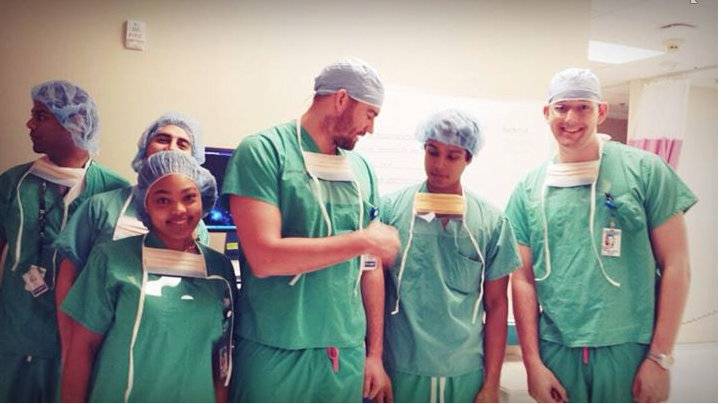 Being kicked out of med school is nothing compared to enduring cancer. She should consider herself lucky. Ugh. Internet police. Why don’t you mind your own business. I can’t remember how I found Emily but I do remember getting the distinct feeling that she was a fake. I tried doing my own sleuthing but came up with nothing. Was going through my Feedly tonight clearing out old blogs and decided to google. Lo and behold, fake. Really makes me sick that someone would want to pretend to go through what some of us have ACTUALLY gone through.